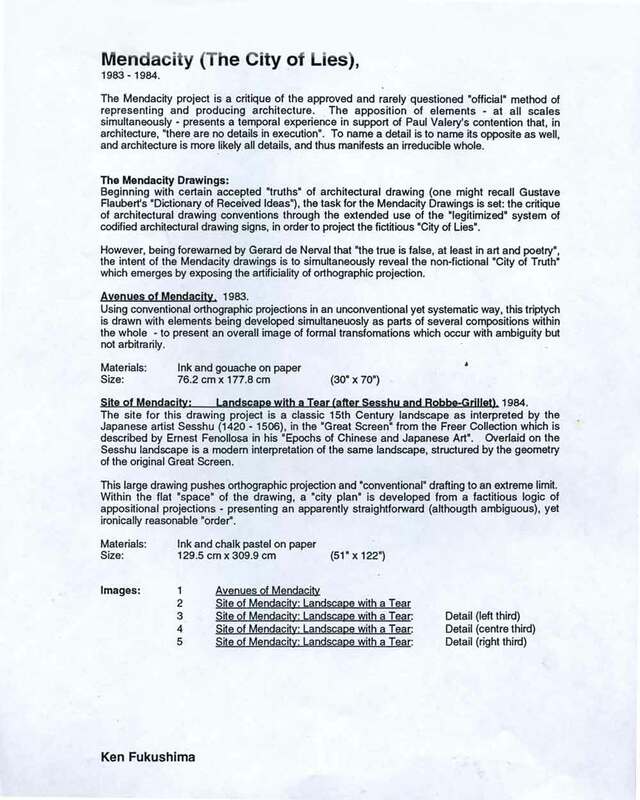 Artist project plan for "Site of Mendacity: Landscape with a Tear", 1983-1984. 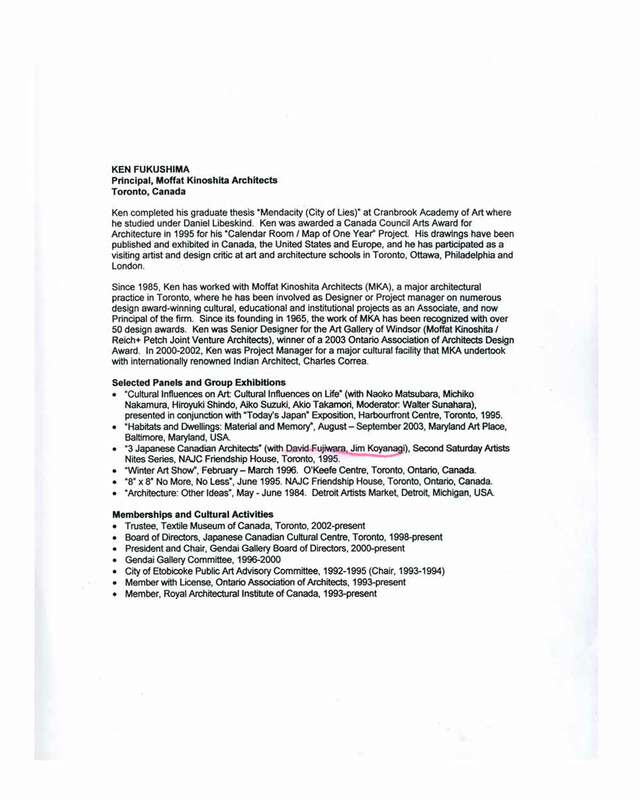 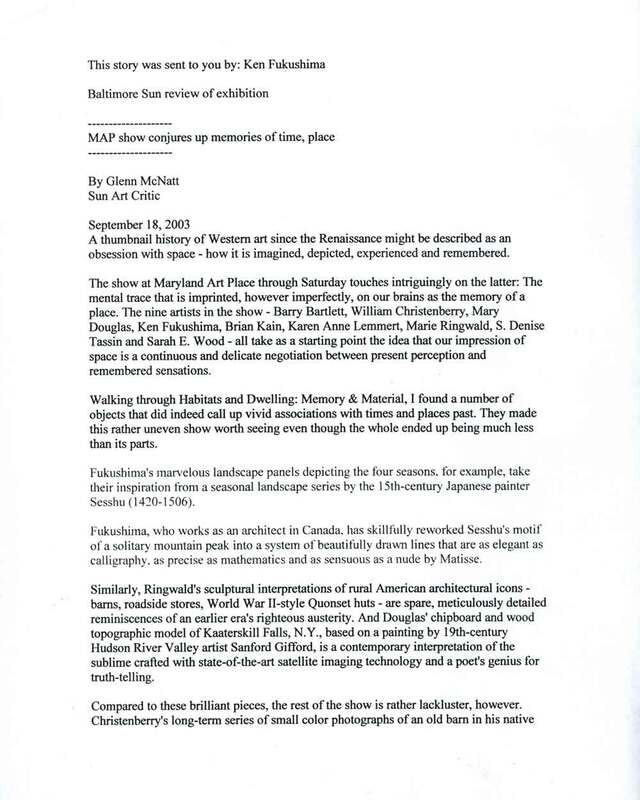 Excerpt sent by the artist from review for exhibition at Maryland Art Place in September 2003, with artists Barry Bartlett, William Christenberry, Mary Douglas, Ken Fukushima, Brian Kain, Karen Anne Lemmert, Marie Ringwald, S. Denise Tassin, Sarah E. Wood. 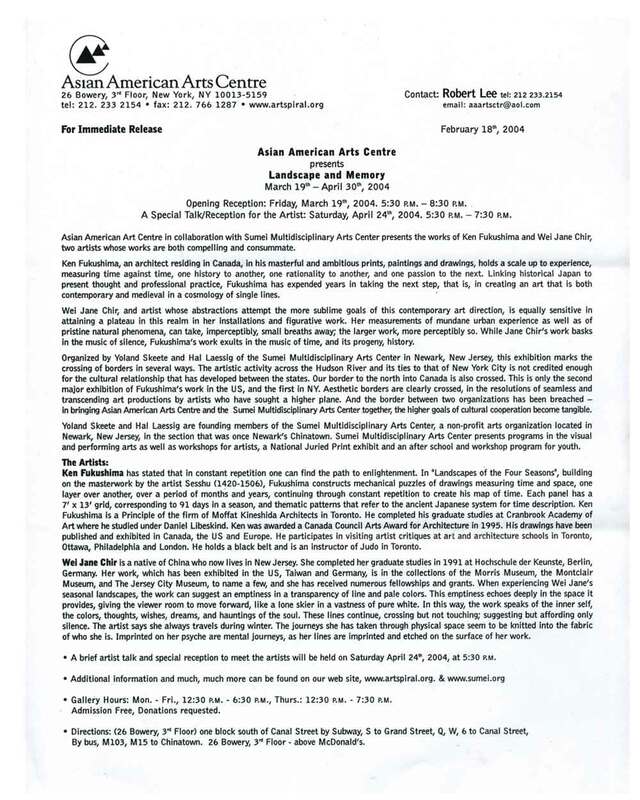 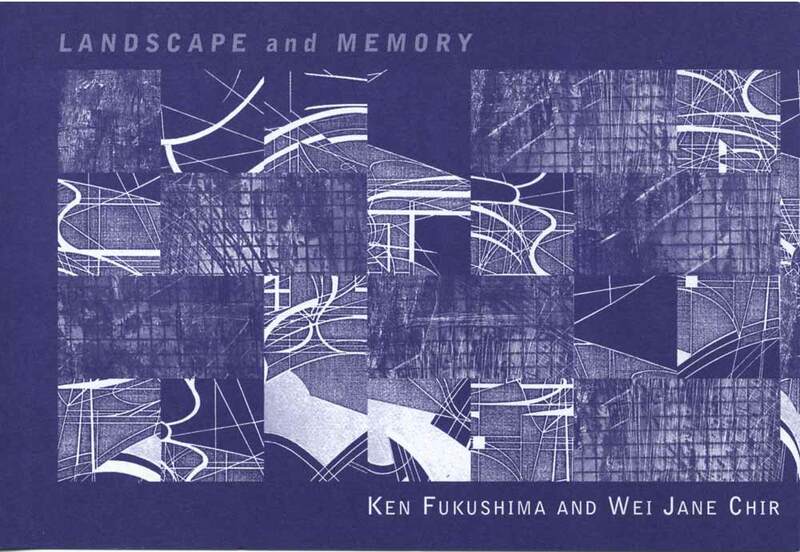 Exhibition flyer for "Landscape and Memory: Ken Fukushima and Wei Jane Chir" at Asian American Arts Centre, New York City, from Mar. 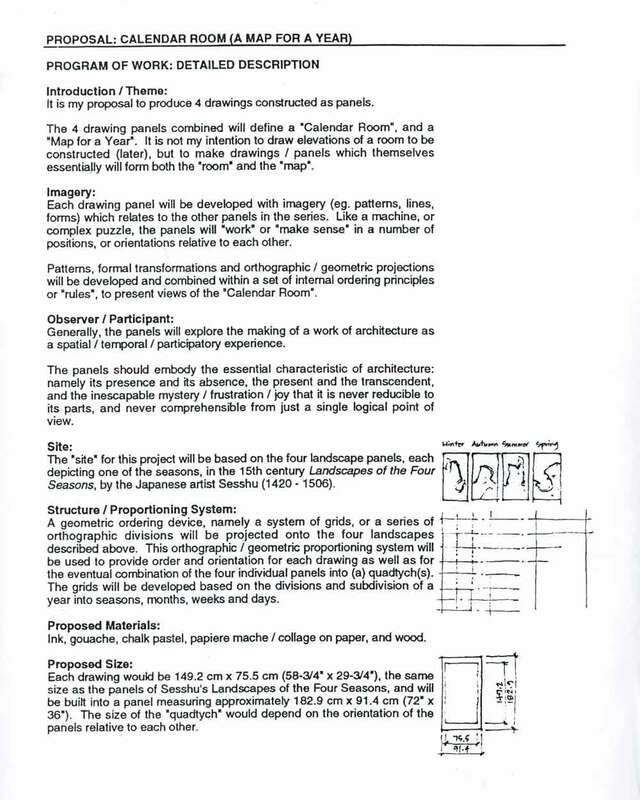 19-Apr. 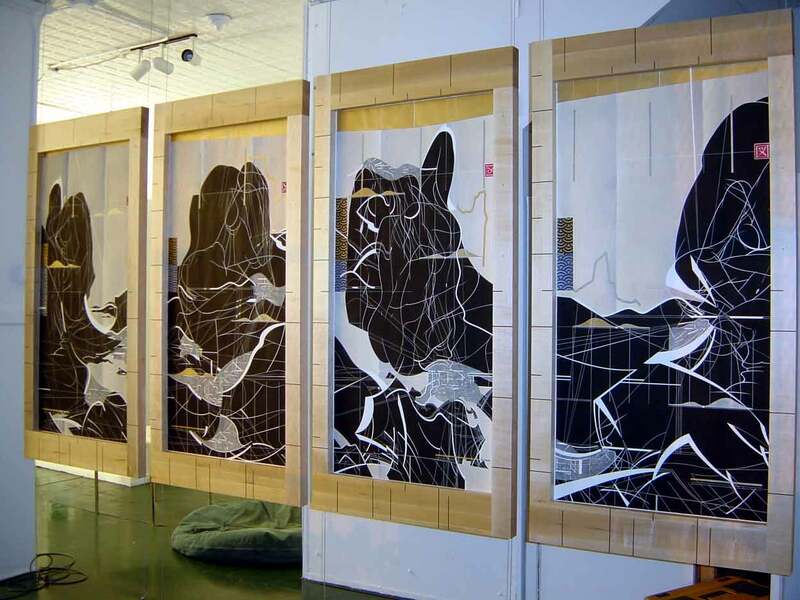 30, 2004, with artists Wei Jane Chir, Ken Fukushima.